The concern for seasoning toxicity has emerged as a giant matter of concern for several national and international bodies to formulate and implement numerous tips for assessing, observance and preventing toxicity arising because of seasoning merchandise. For instance, at United Nations agency, metropolis observance Centre takes care of compilation and dissemination of data relating to seasoning drug adverse reactions, whereas Organization for Economic Cooperation and Development (OECD) sets tips relating to toxicity study. Several marketed seasoning merchandise area unit are often known to have toxic effects. One analysis study rumored severe hepatotoxicity by using seasoning plants [1Schoepfer AM, Engel A, Fattinger K, et al. Herbal does not mean innocuous: Ten cases of severe hepatotoxicity associated with dietary supplements from Herbalife products. J Hepatol 2007; 47(4): 521-6. [http://dx.doi.org/10.1016/j.jhep.2007.06.014] [PMID: 17692989] ]. In step with OECD tips, so as to work and make up one's perception regarding the parameters of safety and efficacy of a replacement drug, pharmacology studies area unit terribly essential in numerous animals like monkey, dog, rabbit, mice etc. pharmacology research functions a criteria to determine whether or not a replacement drug should be used for clinical applications. As per the OECD instructions naming 401, 423 and 425, that did not enable the clinical use of drug, nor its clinical test additionally as toxicity studies [2Ecobichon Ansari SH. Essential of pharmacognosy 1st ed. 1st ed.2007., 3Kofi Donkor A, Laud NK. Okine, Wonder K. M. Abotsi, Eric Woode. Acute and sub-chronic toxicity studies of aqueous extract of root bark of cassia sieberiana D.C. in rodents. J Appl Pharm Sci 2014; 4(4): 84-9.]. So the correct screening of seasoning merchandise for numerous toxic effects before they become expandable is extremely essential. Contents used in Dhatryadi Ghrita. Toxicity, safety, and efficaciousness parameters area unit to be determined for any polyherbal combination in appropriate animal models as per the protocols of regulative norms will aid in predicting toxicity and serving tips for choosing a secure dose in humans. Dhatryadi Ghrita is an Ayurvedic medication, additionally called seasoning or medicated drawn butter as its base and it is prescribed for the treatment of assorted central nervous system disorders. Its main ingredient is Dhatri (Emblica officinalis) [4Pal RS, Mishra A. A review on Dhatryadi ghrita. Int J Res Ayurveda Pharm 2017; 8(Suppl. 2): 190-5. [http://dx.doi.org/10.7897/2277-4343.082111] ]. Table 1 summarizes all the ingredients with their botanical name and amounts utilized in Go-Ghrita [5The Ayurvedic Formulary of India. Government of India 2003.]. Dhatryadi Ghrita has Madhura rasa, Sita Veerya and Madhura Vipaka [6The Ayurvedic Pharmacopoeia of India. Government of India, Ministry of Health and family welfare, Department of AYUSH. 2001; I: 4-5. 62, 127-8.-9The Ayurvedic Pharmacopoeia of India, Government of India, Ministry of Health and family welfare, Department of AYUSH. 2001; IV: 55-6. 108-9.]. 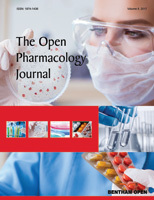 The advancement of analytical techniques is uniquely acting as an effective tool within the space of seasoning drug analysis, thereby, facilitating the makers to line up quality standards and parameters, so as to confirm promoting approval from regulative authorities for therapeutic efficaciousness, safety and shelf- lifetime of medicine [10Pal RS, Mishra A. Standardization of dhatryadi ghrita: A herbal ghee based ayurvedic medicinal preparation. Open Med J 2018; 5: 47-55. [http://dx.doi.org/10.2174/1874220301805010047] ]. Depending on the tenure of drug administration imparted to animals, pharmacological medicine estimation is especially of 3 types like acute, sub-acute and chronic pharmacological studies. The acute toxicity measure is that one dose is employed in every animal on one occasion so as to estimate the gross behavior and additionally LD50 or median dose [11Bhardwaj S, Gupta D. Study of acute, subacute and chronic toxicity test. Int J Adv Pharm Biol Sci 2012; 2: 103-29.]. so as to judge the toxic nature of pharmaceutically bioactive compound gift within the plant extract or its formulation, acute oral toxicity is that the initiative to be performed. Acute toxicity measurement deals with that dose that kills five hundred of the tested group of animals [12Akhila JS, Deepa S, Alwar MC. Acute toxicity studies and determination of median lethal dose. Curr Sci 2007; 93: 917-20.]. Acute oral toxicity was dispensed to see the LD50 worth of methanolic extract of Dhatryadi Ghrita. Experiments were dispensed on Wistar rats, varying within the weight from 175-200 g. The Institutional Ethical Committee of Pharmacy department, 1273/PO/Re/S/09/CPCSEA for analysis for education purpose on little animals, PSIT, Kanpur, India approved the protocol for these experiments underneath range [13Nascimento Antman EM, Braunwald E. ST-elevation myocardial infarction: pathology, pathophysiology, and clinical features.Braunwald’s heart disease: A textbook of cardiovascular medicine 2008; 1207-32.]. Effects of the extracts on acute oral toxicity. Pharmacological extracts and formulation tests are essential to be performed to observe the security and effectualness of merchandise like individual compounds, mixture of compounds, crude extracts, reaction intermediates, pesticides, finished products, pharmaceutical excipients and aids, medicines, cosmeceuticals and other chemical ingredients. It has been recommended that healthful herbs would be in the most ample supply to spread them on larger scales to fulfill the increasing demands. Hence, such beneficial herbs should be evaluated for higher applications of their healthful benefits, safety and efficacy [14Pooja S, Prashanth S, Suchetha K, Vidya V, Krishna B. Evaluation of acute and sub acute toxicity of the leaf extract of Tanacetum parthenium (Asteraceae) and synthetic parthenolide. World J Pharm Pharm Sci 2016; 5(8): 703-13., 15Olson H, Betton G, Robinson D, et al. Concordance of the toxicity of pharmaceuticals in humans and in animals. Regul Toxicol Pharmacol 2000; 32(1): 56-67. [http://dx.doi.org/10.1006/rtph.2000.1399] [PMID: 11029269] ]. Safety of polyherbal extract is evaluated principally by estimation of acute oral toxicity. Within the study, even the highest dose of plant extract i.e. 4000 mg/kg did not show any symptoms of toxication and death in for animals. Therefore, this polyherbal extract even at 4000 mg/kg could also be recommended as safe and offers no harm to the animals. It indicates that ghrita has more short chain fatty acid and unsaturated fats, which might be due to pharmaceutical processing of ghrita. Short Chain Fatty Acids (SCFAs) are readily absorbed; a greater increase in SCFAs production and potentially a greater delivery of SCFAs. Unsaturated fat supplementation increases total dietary energy intake to recommended levels, has no adverse impact on blood lipids. It also improves nutritional status and possesses health benefits. Ghrita beyond treating serious mental disorders can be used to pacify anxiety [16Teo S, Stirling D, Thomas S, Hoberman A, Kiorpes A, Khetani V. A 90-day oral gavage toxicity study of D-methylphenidate and D,L-methylphenidate in Sprague-Dawley rats. Toxicology 2002; 179(3): 183-96. [http://dx.doi.org/10.1016/S0300-483X(02)00338-4] [PMID: 12270 592] -20Wintergerst ES, Maggini S, Hornig DH. Immune-enhancing role of vitamin C and zinc and effect on clinical conditions. Ann Nutr Metab 2006; 50(2): 85-94. [http://dx.doi.org/10.1159/000090495] [PMID: 16373990] ]. Ecobichon Ansari SH. Essential of pharmacognosy 1st ed. 1st ed.2007. Hayes AW, Ed. Principles and Methods of Toxicology 5th ed. 5th ed.2007.